This angel course consists of 7 channeled angel messages which will pave the pathway so that you can directly connect with the Angelic Realms for yourself. 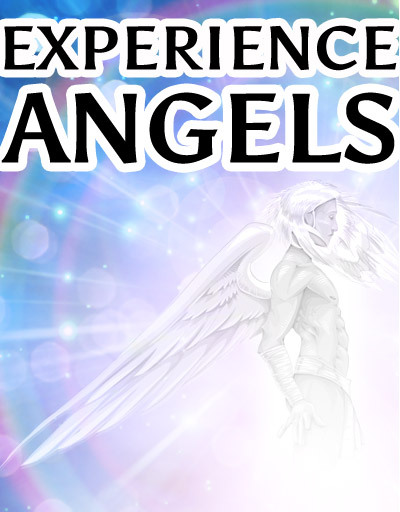 While I have published information in the past about connecting with the angels… This new angel course~ Experiencing Your Angels, may very well be the most powerful angel course I’ve ever created and I’m excited to share it with you! This angel course is made up of seven angel messages where Uriel, Metatron, Michael and Orion, will walk you through the process of activating and opening your chakras, lifting your vibration, connecting with your Guardian Angel, and then lifting even higher to experience your Higher Self and the realm of Archangels. In this course you will add powerful tools to your spiritual tool belt, which can serve you right now, and continuously moving forward on your soul's journey. disappointed, as I thought for sure she would come through). The following day I found another white feather in my mother’s apartment. I feel in my heart that she was giving me a sign that she was near and not to worry! If you want to attract an angel you have to talk to them and thank them everyday. Be open to everything around you. The signs are always there!! i am in need of help from my angels but do not know how to fee or hear them.can you help me? I mistakenly deleted my experience angels that I ordered about three weeks ago. What can I do to download again? Thanks for your help. Hi! I’m highly interested in knowing how to connect with our sweet precious angels. How do I connect with them? I have read on some different websites about our signs from our angels and it is so extremely fantastic! It would also be excellent knowing how to connect with them too. Gladly would appreciate this very much. Thanks so very much. God Bless you and hope to hear from someone soon. Thanks for the best answers! What would be a good prayer to connect with archangel michael for a parent that is not well and would like to ask for help for that issue. How do i connect with my guardian angel?